4. endow the mobile access tower with a manual for its assembly, use and dismantling, drawn up pursuant to EN 1298 technical standard. 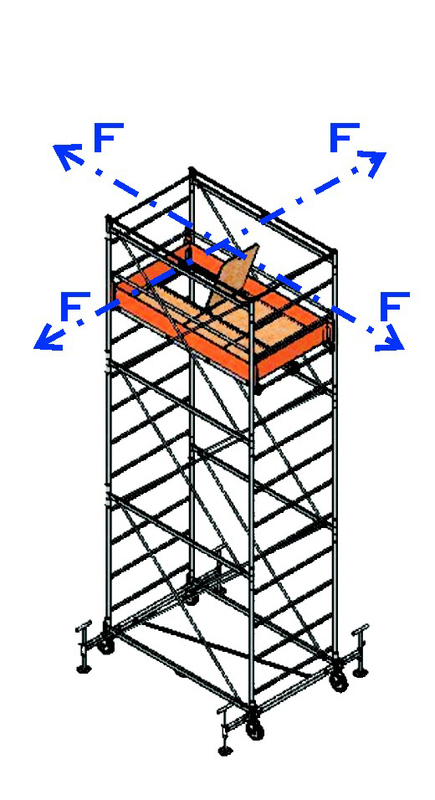 Rigidity tests on the complete structure of a mobile working tower F = 500 Ns The purpose of the test is to verify that the mobile working and access towers, if they are assembled to the height for which they have been designed and are exposed to certain horizontal loads, will not exceed the strain as stated in the regulation, which takes into account the elastic strain and the play present in the structure. 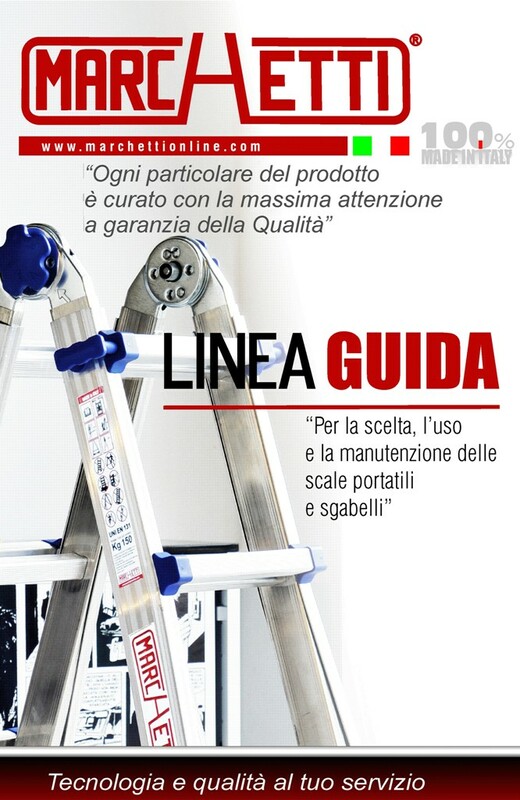 Our slogan has always been "Our quality is your safety"
Prompted by the desire to improve our organization, we obtained UNI EN ISO 9001 Quality system Certification, the first Italian company in the field to do so. The trust that stores place in us each day stems from our coherent pursuit of such quality principals a concrete way of operating that guarantees the prompt resolution of any prolem.